Simple and subtle… this easy rice offers the perfect complement to bigger, bolder flavors such as those found in hearty and spicy enchiladas or fajitas. 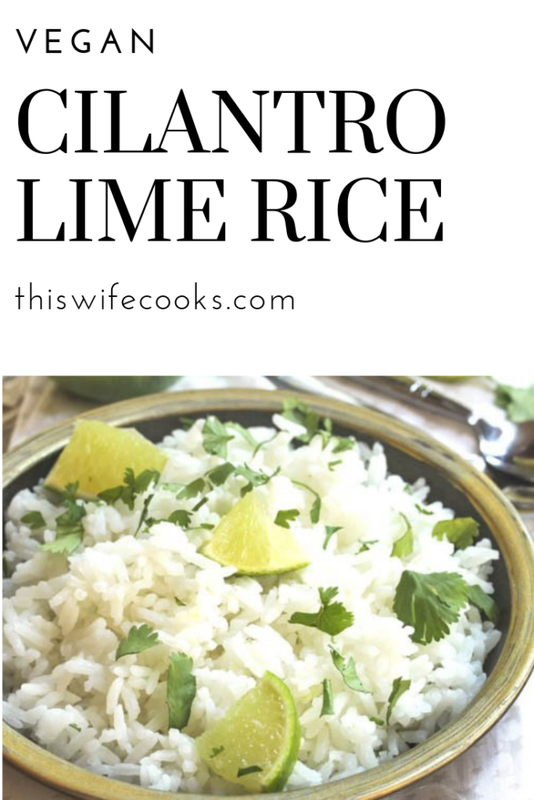 Most recently, I served this rice alongside tacos dressed with a robust sauce of chipotle chiles and adobo seasoning and the light cilantro and lime flavors struck just the right balance. And this rice keeps well in the fridge for a few days. To a medium saucepan over medium high heat, add olive oil. When oil is hot, add rice and garlic. Cook 1-2 minutes, stirring frequently, until garlic is softened and fragrant. Add vegan chicken broth, lime juice, and sea salt. Reduce heat to low; cover and simmer 20 minutes, until rice is tender and liquid is absorbed. Stir in cilantro leaves and lime zest. Adjust seasoning to taste and serve warm. I am not a huge cilantro fan, but mixing it with lime zest sounds like it may taste good. I do love rice, so I will give this a try! I do like this for a kids’ lunch because it’s just as tasty at room temperature. This sounds wonderful. I love anything that has cilantro and lime in it. This is such an interesting recipe. I’ve never seen vegan chicken broth anywhere, but I imagine I could use vegetable broth. 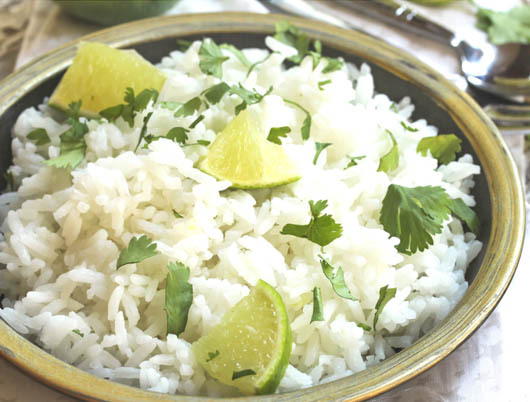 We love cilantro rice in our burritos so looking forward to trying your version of this recipe! Thank you! I like Better Than Bouillon’s No Chicken base for the vegan chicken broth. One of the best combos, cilantro and lime! Love how easy and straight forward this recipe is, only few ingredients. Great work, thanks for sharing!